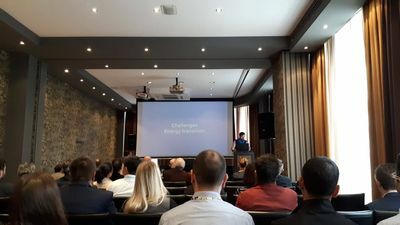 The Interreg MED Efficient Building community and the Renewable Energy community came together for a joint event in Ljubljana, on 18-19 October. 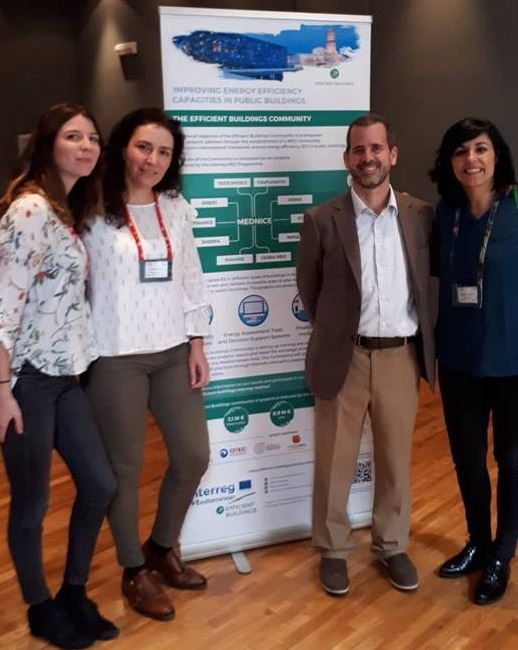 Co-organised by the Interreg MED Efficient Building and the Renewable Energy Communities, the “Building our capacity of influence for an efficient, inclusive and renewable energy model for MED area” conference brought together representatives from all the projects from the two communities. This included the SHERPA project, the EERB project, in which the CPMR-IMC is full partner, and other projects with which SHERPA is collaborating such as IMPULSE, NEWFINANCE and CESBA MED. This event provided the opportunity to share results and best methodologies from the two Communities coming from the same axis 2 – Low Carbon Economy – and to start discussiions on the capitalisation of their outcomes through policy making, taking into account goals and activities foreseen beyond 2020. During the conference, several partners from SHERPA participated in the different working groups on planning and management, business models and social awareness. For each of them the main barriers and solutions were shared. Among the barriers highlighted was the lack of an Energy Efficiency in Buildings (EEB) model and awareness to ensure the replicability of the model. SHERPA’s partners presented one of its outputs as a possible solution: the observers status developed during SHERPA’s lifetime to easily identify relevant actors directly or indirectly involved in EEB in view of the replication of SHERPA’s methodology and to ensure the setting up of a strong Efficient Buildings Community. Best practices were also exchanged through the ‘showroom’ where each project was invited to present their work to the communities and to Slovenian actors. Furthermore, some projects had the opportunity to share their tools and outcomes during the interactive training sessions. The rest of the conference was dedicated to the capitalisation of the MPs’ outcomes beyond the Communities. European initiatives/policies and priorities were raised by some EU high level actors. Among the priorities presented was the focus on the Energy Efficiency in Buildings and transport; the importance of unlocking private financing; the focus on Energy Efficiency in Buildings at municipal level and the specific challenges on Energy Efficiency in Islands. MEDNICE recalled the Energy Transition Challenges for which SHERPA offers part of the solution by developing Shared MED Information System, financial operative schemes & a network of observers. For further information, please contact Emmanuel Maniscalco: emmanuel.maniscalco@crpm.org and Flora Leroy: flora.leroy@crpm.org.